Costa Dorada Holidays Free Child Places 2019 @Web2travelDeals. Online Since 2000. Finding the Best Value Holidays with Free Child Places Costa Dorada from U.K. airports. Amazing Deals in Cambrils, La Pineda, Portaventura and Salou. New Costa Dorada Holidays Free Child Places 2020. Stop wasting time checking website after website, looking for Costa Dorada Holidays Free Child Places 2019, only to find that the deal advertised has expired or does not exist. View Holidays Genuine Free Child Places Costa Dorada 2019. We understand from reading online reviews, how frustrating it can be for you, when searching for hours for Family Holidays Costa Dorada, only to find that the headline deals advertised are only available in May or September or twice the price during the School Holidays. Costa Dorada Holidays @Web2travelDeals is designed to save you time and money when searching for Free Child Places Costa Dorada 2019. We regularly check with Top Tour Operators to find out which Costa Dorada resorts have holidays from the UK to Costa Dorada with Free Child Places School Holidays. 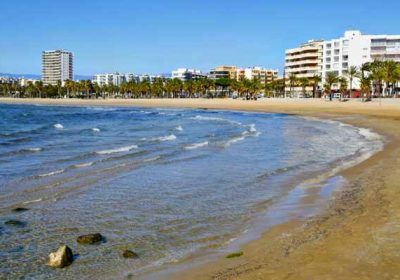 This post Costa Dorada Holidays Free Child Places 2019 shows you hotels and apartments which our team have visited to check that free child places were available during School Holidays, on the date that this post was updated. Best Cambrils, Cambrils, Costa Dorada, 3 star. Close to the beach, Lively pool area, Entertainment programme. We found Free Child Places were available on 2nd July 2019 at Best Cambrils with flights departing from London Stansted, Birmingham, Leeds Bradford and East Midlands. Free Child Places are also available on other dates and may be available for package Holidays departing from other U.K. airports. Get More Information and claim your Free Child Place at Best Cambrils, Cambrils, Costa Dorada. Estival El Dorado Resort, Cambrils, Costa Dorada, 3 star. Splash park with slides, Beachfront, Fun for all the family, Fantastic entertainment programme, Interconnecting Family rooms available. We found Free Child Places were available on 2nd July 2019 at Estival El Dorado Resort with flights departing from London Stansted, Birmingham, Leeds Bradford and East Midlands. Free Child Places are also available on other dates and may be available for package Holidays departing from other U.K. airports. 7 Nights All Inclusive Plus £900 p.p. (£2,700 Total Family of 4 including 1 Free Child Place, sharing 1 x Junior suite) including PortAventura Theme Park tickets and flights Dep London Stansted 2nd July 2019. Get More Information and claim your Free Child Place at Estival El Dorado Resort, Cambrils, Costa Dorada. Pins Platja Apartments, Cambrils, Costa Dorada, 3 star. Children’s pool with slides, Great for families, Two Bedroom apartments available, Close to the beach, Friendly atmosphere. We found Free Child Places were available on 2nd July 2019 at Pins Platja Apartments with flights departing from London Stansted, Birmingham and East Midlands. Free Child Places are also available on other dates and may be available for package Holidays departing from other U.K. airports. Get More Information and claim your Free Child Place at Pins Platja Apartments, Cambrils, Costa Dorada. We found Free Child Places were available on 2nd July 2019 at Hotel Estival Park and Apartments with flights departing from Manchester. Free Child Places are also available on other dates and may be available for package Holidays departing from other U.K. airports. Get More Information and Claim your Free Child Place at Hotel Estival Park and Apartments, La Pineda, Costa Dorada. Get More Information and Claim your Free Child Place at Aquasplash Estival Resort, La Pineda, Costa Dorada. Hotel Golden Donaire Beach, La Pineda, Costa Dorada, 3 star. We found Free Child Places were available on 2nd July 2019 at Hotel Golden Donaire Beach with flights departing from Birmingham. Free Child Places are also available on other dates and may be available for package Holidays departing from other U.K. airports. Get More Information and Claim your Free Child Place at Hotel Golden Donaire Beach, La Pineda, Costa Dorada. Pineda Park, La Pineda, Costa Dorada, 3 star. We found Free Child Places were available on 2nd July 2019 at Pineda Park with flights departing from Belfast International. Free Child Places are also available on other dates and may be available for package Holidays departing from other U.K. airports. Get More Information and Claim your Free Child Place at Pineda Park, La Pineda, Costa Dorada. We found Free Child Places were available on 9th July 2019 at Portaventura Hotel Caribe with flights departing from Birmingham. Free Child Places are also available on other dates and may be available for package Holidays departing from other U.K. airports. Get More Information and Claim your Free Child Place at Portaventura Hotel Caribe, Portaventura, Costa Dorada. We found Free Child Places were available on 9th July 2019 at Gold River Portaventura with flights departing from Birmingham. Free Child Places are also available on other dates and may be available for package Holidays departing from other U.K. airports. Get More Information and Claim your Free Child Place at PortAventura Gold River Hotel, Portaventura, Costa Dorada. We found Free Child Places were available on 9th July 2019 at Hotel El Paso Portaventura with flights departing from Birmingham. Free Child Places are also available on other dates and may be available for package Holidays departing from other U.K. airports. Get More Information and Claim your Free Child Place at Hotel El Paso, Portaventura, Costa Dorada. We found Free Child Places were available on 9th July 2019 at 4 star Portaventura Hotel with flights departing from Manchester. Free Child Places are also available on other dates and may be available for package Holidays departing from other U.K. airports. Get More Information and Claim your Free Child Place at Hotel PortAventura, Portaventura, Costa Dorada. 4R Regina Gran Hotel, Salou, Costa Dorada, 3 star. Close to PortAventura Theme Park, Good range of facilities, All Inclusive option, Friendly atmosphere, Comfortable rooms. We found Free Child Places were available on 2nd July 2019 at 4R Regina Gran Hotel with flights departing from London Stansted, Birmingham, Leeds Bradford and East Midlands. Free Child Places are also available on other dates and may be available for package Holidays departing from other U.K. airports. 7 Nights Half Board £617 p.p. (£1,851 Total Family of 4 including 1 Free Child Place, sharing 1 x Double or Twin room) including PortAventura Theme Park tickets, flights Dep East Midlands 2nd July 2019. Get More Information and Claim your Free Child Place at 4R Regina Gran Hotel, Salou, Costa Dorada. 4R Salou Park Hotel I, Salou, Costa Dorada, 3 star. Close to the beach, Great entertainment, 2 outdoor pools. We found Free Child Places were available on 2nd July 2019 at 4R Salou Park Hotel I with flights departing from London Stansted, Birmingham, Leeds Bradford and East Midlands. Free Child Places are also available on other dates and may be available for package Holidays departing from other U.K. airports. Get More Information and Claim your Free Child Place at 4R Salou Park Hotel I Free Child Places, Salou, Costa Dorada. Get More Information and Claim your Free Child Place at Hotel Belvedere, Salou, Costa Dorada. Best Cap Salou, Cap Salou, Costa Dorada, 3 star. Beachfront, Relaxed atmosphere, Great range of facilities, Close to shops and bars, Comfortable rooms. We found Free Child Places were available on 2nd July 2019 at Best Cap Salou with flights departing from London Stansted, Birmingham, Leeds Bradford and East Midlands. Free Child Places are also available on other dates and may be available for package Holidays departing from other U.K. airports. Get More Information and Claim your Free Child Place at Best Cap Salou, Cap Salou, Costa Dorada. Hotel Dorada Palace, Salou, Costa Dorada, 3 star. Close to the resort centre, 4 outdoor pools, Adults only pool, Great for families, Rooftop terrace. We found Free Child Places were available on 2nd July 2019 at Hotel Dorada Palace with flights departing from London Stansted, Birmingham, Leeds Bradford and East Midlands. Free Child Places are also available on other dates and may be available for package Holidays departing from other U.K. airports. Get More Information and Claim your Free Child Place at Hotel Dorada Palace, Salou, Costa Dorada. We found Free Child Places were available on 9th July 2019 at Hotel Calypso with flights departing from Birmingham. Free Child Places are also available on other dates and may be available for package Holidays departing from other U.K. airports. Get More Information and Claim your Free Child Place at Hotel Calypso, Salou, Costa Dorada. Festival Village Apartments, Salou, Costa Dorada, 3 star. Great for families, Entertainment programme, Lively atmosphere, Comfortable spacious rooms, Special movie nights for children. We found Free Child Places were available on 2nd July 2019 at Festival Village Apartments with flights departing from London Stansted, Birmingham, Leeds Bradford and East Midlands. Free Child Places are also available on other dates and may be available for package Holidays departing from other U.K. airports. Get More Information and Claim your Free Child Place at Festival Village Apartments, Salou, Costa Dorada. We found Free Child Places were available on 9th July 2019 at Golden Port Salou Hotel with flights departing from Manchester. Free Child Places are also available on other dates and may be available for package Holidays departing from other U.K. airports. Get More Information and Claim your Free Child Place at Hotel Golden Port Salou & Spa, Salou, Costa Dorada. We found Free Child Places were available on 30th July 2019 at California Garden Hotel with flights departing from Belfast International. Free Child Places are also available on other dates and may be available for package Holidays departing from other U.K. airports. Get More Information and Claim your Free Child Place at California Garden, Salou, Costa Dorada. Hotel Eurosalou, Salou, Costa Dorada, 3 star. Great range of facilities, Close to the nightlife, Spa and wellness centre. We found Free Child Places were available on 2nd July 2019 at Hotel Eurosalou with flights departing from London Stansted, Birmingham, Leeds Bradford and East Midlands. Free Child Places are also available on other dates and may be available for package Holidays departing from other U.K. airports. 7 Nights Bed and Breakfast £461 p.p. (£1,383 Total Family of 4 including 1 Free Child Place, sharing 1 x Double or Twin room) including flights Dep London Stansted 2nd July 2019. Get More Information and Claim your Free Child Place at Hotel Eurosalou, Salou, Costa Dorada. Get More Information and Claim your Free Child Place at Eurosalou Hotel & Portaventura Theme Park, Salou, Costa Dorada. Spacious apartments, Close to the beach, Close to shops and bars. We found Free Child Places were available on 2nd July 2019 at California Apartments with flights departing from London Stansted, Birmingham, Leeds Bradford and East Midlands. Free Child Places are also available on other dates and may be available for package Holidays departing from other U.K. airports. Get More Information and Claim your Free Child Place at California Apartments, Salou, Costa Dorada. Hotel Belvedere, Salou, Costa Dorada. We found Free Child Places were available on 2nd July 2019 at Hotel Belvedere with flights departing from Manchester. Free Child Places are also available on other dates and may be available for package Holidays departing from other U.K. airports. 7 Nights Half Board £524 p.p. (£1,572 Total Family of 4 including 1 Free Child Place) including flights Dep Manchester 2nd July 2019. Inter 2, Salou, Costa Dorada, 3 star. All Inclusive option, Entertainment programme, Close to shops and bars. We found Free Child Places were available on 2nd July 2019 at Pins Platja Apartments with flights departing from London Stansted, Birmingham, Leeds Bradford and East Midlands. Free Child Places are also available on other dates and may be available for package Holidays departing from other U.K. airports. 7 Nights Self Catering £415 p.p. (£1,245 Total Family of 4 including 1 Free Child Place, sharing 1 x Studio) including flights Dep Leeds Bradford 2nd July 2019. Get More Information and Claim your Free Child Place at Inter 2, Internacional II Apartments, Salou, Costa Dorada. Ohtels Belvedere, Salou, Costa Dorada, 3 star. Central location, Entertainment programme, Great for families. We found Free Child Places were available on 2nd July 2019 at Ohtels Belvedere with flights departing from London Stansted, Birmingham, Leeds Bradford and East Midlands. Free Child Places are also available on other dates and may be available for package Holidays departing from other U.K. airports. 7 Nights Bed and Breakfast £498 p.p. (£1,494 Total Family of 4 including 1 Free Child Place, sharing 1 x Double or Twin room) including flights Dep Birmingham 2nd July 2019. Get More Information and Claim your Free Child Place at Ohtels Belvedere, Salou, Costa Dorada. Ohtels Playa de Oro, Salou, Costa Dorada, 3 star. Close to the beach, Friendly atmosphere, Perfect for relaxation, Recently refurbished, Rooftop terrace with whirlpool. We found Free Child Places were available on 2nd July 2019 at Ohtels Playa de Oro with flights departing from London Stansted, Birmingham, Leeds Bradford and East Midlands. Free Child Places are also available on other dates and may be available for package Holidays departing from other U.K. airports. 7 Nights Half Board £507 p.p. (£1,521 Total Family of 4 including 1 Free Child Place, sharing 1 x Double or Twin room) including flights Dep Leeds Bradford 2nd July 2019. 7 Nights Half Board £606 p.p. (£1,818 Total Family of 4 including 1 Free Child Place, sharing 1 x Double or Twin room) including flights Dep East Midlands 2nd July 2019. Get More Information and Claim your Free Child Place at Ohtels Playa de Oro, Salou, Costa Dorada. Sol Costa Daurada, Salou, Costa Dorada, 3 star. Close to PortAventura Theme Park, British Pub, Good range of facilities, Great value for money, Entertainment programme. We found Free Child Places were available on 2nd July 2019 at Sol Costa Daurada with flights departing from London Stansted, Birmingham, Leeds Bradford and East Midlands. Free Child Places are also available on other dates and may be available for package Holidays departing from other U.K. airports. 7 Nights Half Board £485 p.p. (£1,455 Total Family of 4 including 1 Free Child Place, sharing 1 x Double or Twin room) including flights Dep London Stansted 2nd July 2019. 7 Nights Half Board £557 p.p. (£1,671 Total Family of 4 including 1 Free Child Place, sharing 1 x Double or Twin room) including PortAventura Theme Park tickets, flights Dep Birmingham 2nd July 2019. Get More Information and Claim your Free Child Place at Sol Costa Daurada, Salou, Costa Dorada. Aparthotel SunClub Salou, Cap Salou, Costa Dorada, 3 star. Splash park with slides, Great range of facilities, Children’s playground, Close to the beach, Spacious apartments. We found Free Child Places were available on 2nd July 2019 at Aparthotel SunClub Salou with flights departing from London Stansted, Birmingham, Leeds Bradford and East Midlands. Free Child Places are also available on other dates and may be available for package Holidays departing from other U.K. airports. 7 Nights Self Catering £446 p.p. (£1,338 Total Family of 4 including 1 Free Child Place, sharing 1 x One Bedroom apartment) including flights Dep Birmingham 2nd July 2019. 7 Nights Self Catering £500 p.p. (£1,500 Total Family of 4 including 1 Free Child Place, sharing 1 x One Bedroom apartment) including PortAventura Theme Park tickets and flights Dep Leeds Bradford 2nd July 2019. Get More Information and Claim your Free Child Place at Aparthotel SunClub Salou, Cap Salou, Costa Dorada. Get More Information and Claim your Free Child Place at TUI FAMILY LIFE Avenida Suites, Salou, Costa Dorada. We found Free Child Places were available on 9th July 2019 at Villa Romana with flights departing from Birmingham. Free Child Places are also available on other dates and may be available for package Holidays departing from other U.K. airports. Get More Information and Claim your Free Child Place at Villa Romana, Salou, Costa Dorada. Want to look for Holidays with Free Child Places in other resorts? Many Tour Operators have now released their Free Child Places for Summer 2019. To save you time, we have already found the Best Offers for Costa Dorada Hotels and Apartments with Free Child Places Summer 2019 below.